Roll Back Tie-Down System with Chain Ends. Kit includes 4 each: 14' Long Strap with Chain, Short Strap with Lined Eyes and Gradual Release Ratchet with Chain. Convenient carry bag also included free! Towing for a Cure Straps are offered as a limited release each fall with a portion of the proceeds being donated to further breast cancer research and awareness. 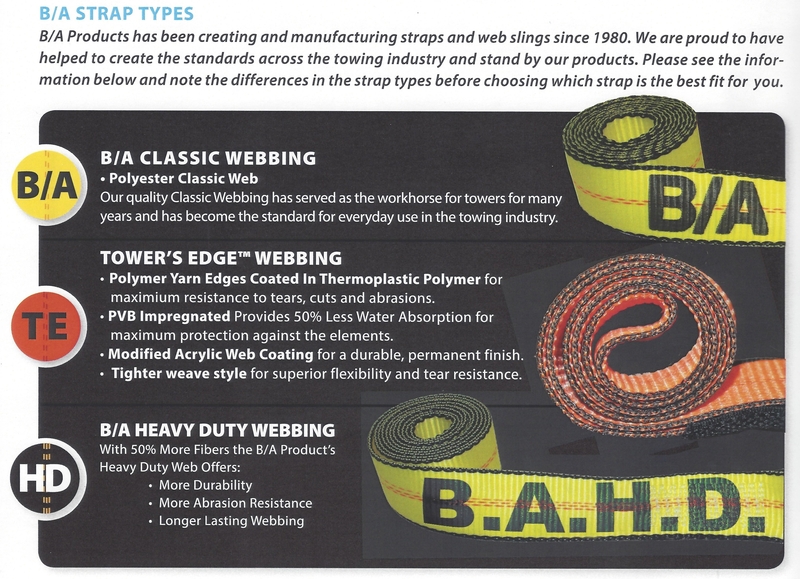 B/A Products Co. has been creating and manufacturing straps and web slings since 1980. They are proud to have helped to set the standards across the towing industry and stand by their products. Please see the information below and note the differences in the strap types before choosing which strap is the best fit for you. Webbing Manufactured in the USA. 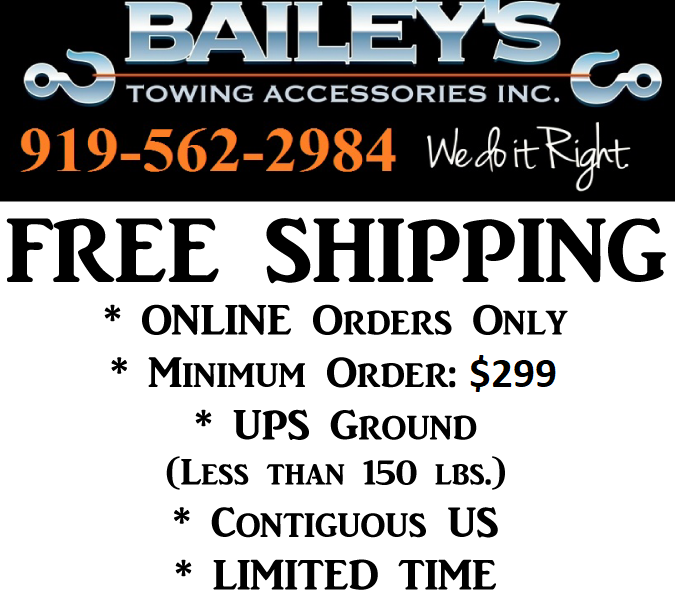 Don't see the strap you want, call and we'll make it happen!